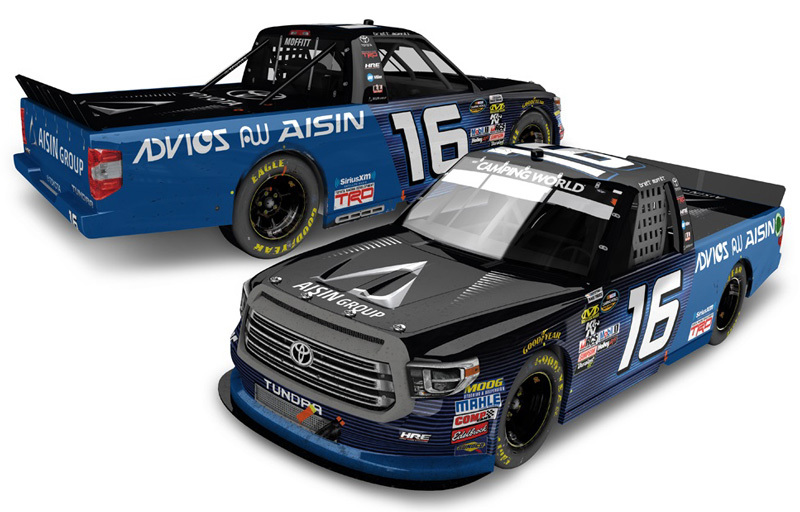 2018 Brett Moffitt #16 AISIN Group / Homestead Win / Raced Version / Toyota Tundra NASCAR Truck 1/24 diecast, by Action Lionel. 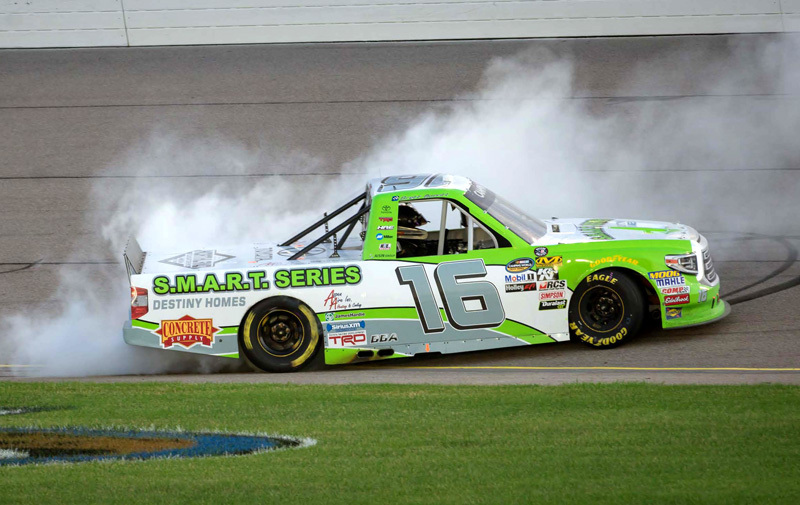 Brett Moffitt raced this Hattori Racing #16 AISIN Group Toyota Tundra to victory in the NASCAR Camping World Truck Series, Ford EcoBoost 200 at Homestead-Miami Speedway on November 16, 2018. Brett Moffitt captured the 2018 NASCAR Craftsman Truck Series Championship at Homestead-Miami. 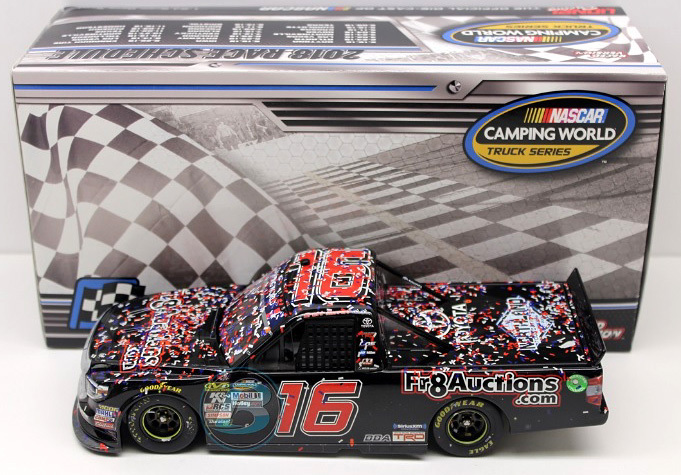 This diecast truck will come with a bag of confetti from Victory Lane and race winner decal. 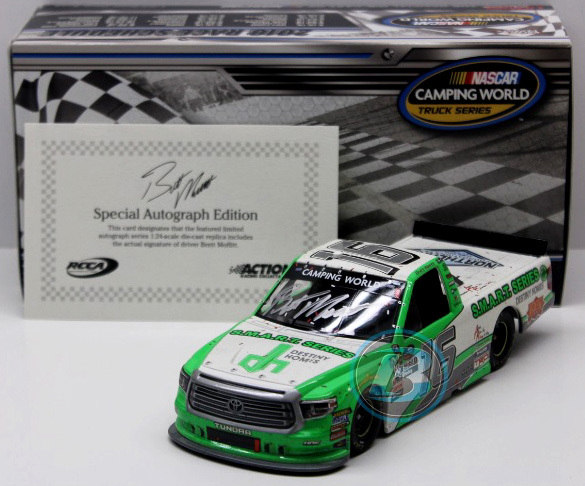 Autographed version available $59.99 - Autographed by Brett Moffitt. 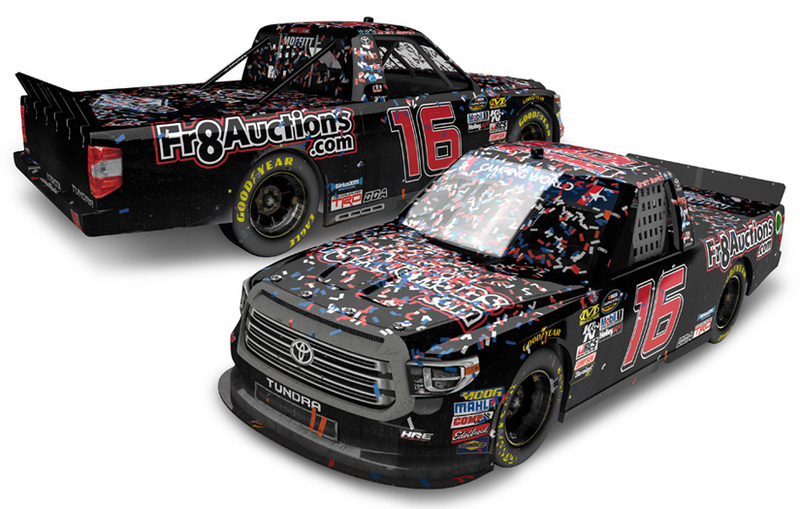 2018 Brett Moffitt #16 AISIN Group / Homestead Win / Raced Version / Toyota Tundra NASCAR Truck 1/64 diecast, by Action Lionel. 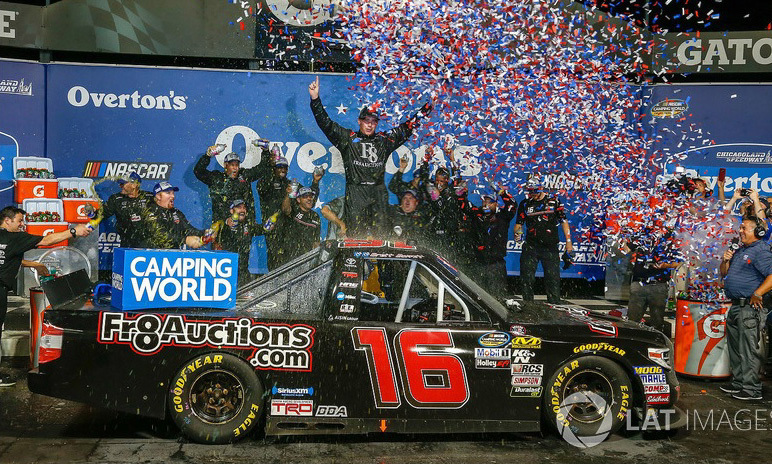 Brett Moffitt raced this Hattori Racing #16 AISIN Group Toyota Tundra to victory in the NASCAR Camping World Truck Series, Ford EcoBoost 200 at Homestead-Miami Speedway on November 16, 2018. 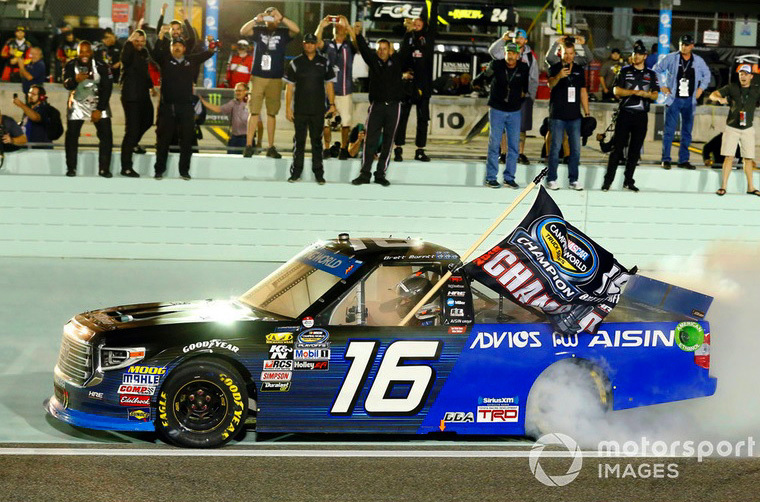 Brett Moffitt captured the 2018 NASCAR Craftsman Truck Series Championship at Homestead-Miami. 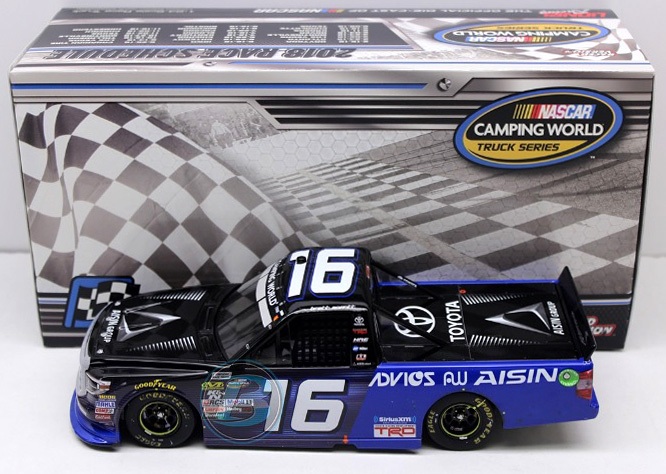 2018 Brett Moffitt #16 AISIN Group / Atlanta Win / Raced Version / Toyota Tundra NASCAR Truck diecast, by Action Lionel. 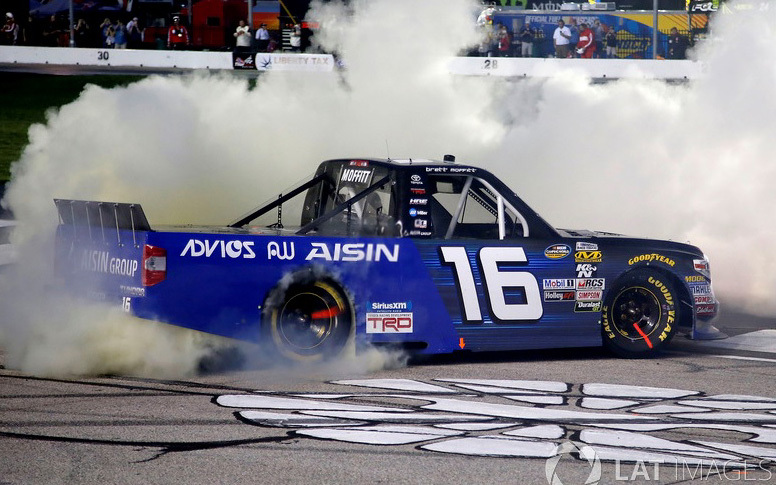 Brett Moffitt raced this Hattori Racing #16 AISIN Group Toyota Tundra to victory in the NASCAR Camping World Truck Series, Active Pest Control 200 at Atlanta Motor Speedway on February 24, 2018. This diecast truck comes with an official, actual size race winner decal. 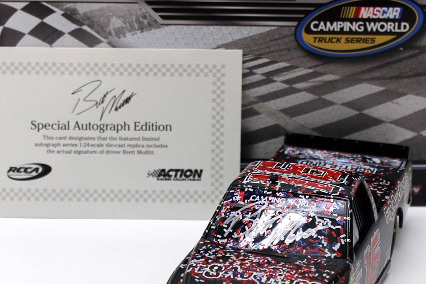 Autographed - This diecast truck was autographed by Brett Moffitt, on the windshield in Silver. Includes an Action Racing Collectables certificate of authenticity.